Tuesday: Day two off my week of led me to the well known and talked about Ruben Hills a 2012 newbie. 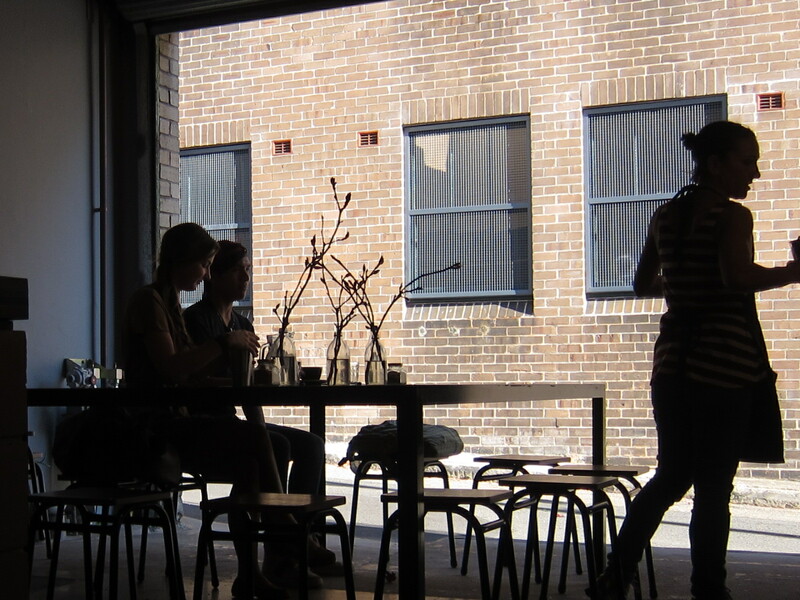 Seemingly, more like a Berlin (or Melbourne) nightspot then your traditional Sydney coffee house, Ruben has smashed its way onto the Sydney scene, pushing the do and don’ts of how a coffee shop / roaster should look and work. The first thing that will strike you about the coffee shop is the use of juxtapositions in the design – for instance the warehouse roller door at the back, cute house look from the front, the use of natural light throughout, with decorative neon lights for display. 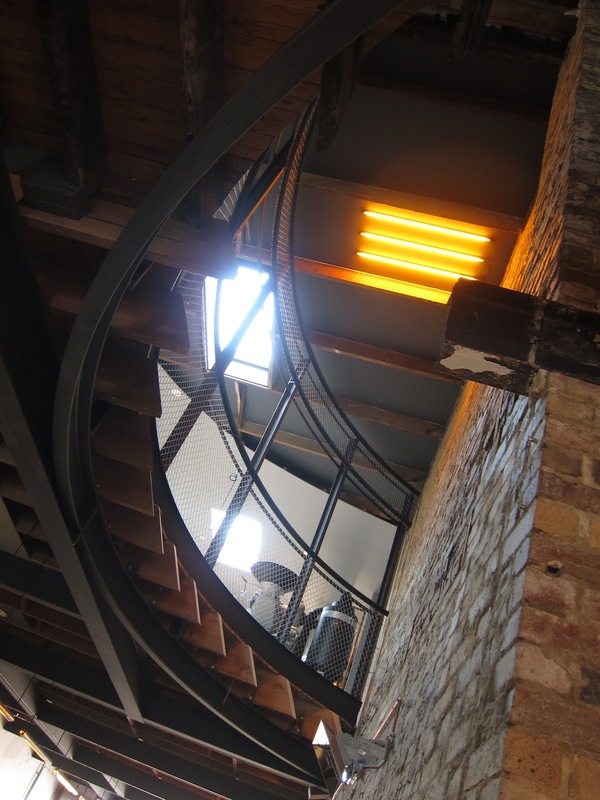 Ok, well, these are really not juxtapositions, but you get the idea; it’s a cool space. I’m a huge fan of modern industrial look and feel and Ruben nails this from the get go. Just note: This space may be a little confusing to those who are use to the concept of a counter, so just forget that – look for the iPads. So anyway, I walked in took a counter space in the middle to the building to get a feel for the whole place and waited for the magic. A waiter came over with a bottle of water (in an old milk bottle) and a menu and asked what I was after. As it’s only mid morning, as tempting as many of the menu items are, like an ice-cream sandwich named dog’s breakfast (no seriously), I had to decline. I went the flat white. Sitting in the middle of the space made me feel really involved with the energy of the building, the house music, decorative neon lights, staff members flying past trying to accommodate all manner of persons. My first thought was, if this is Tuesday, I wonder what a Saturday is like. It was not much of a surprise that the coffee came across as quite professional in the looks. Presented in a dark brown cup, it had a stylish leaf and had the right ratio constancy of milk to foam. The aroma of the coffee came off as having some really nice earthy and occasionally nutty tones to it. The taste of the drink followed on from its smells. The drink was as complex, but yet had a very smooth nutty / earthiness which was quite satisfying. Letting the coffee sit allowed, me to scope out the patrons. It’s a mixed lot here, between art types (employed) looking for an amazing lunch time feed, to hipsters looking to slide there way out of their Tuesday morning hangover (unemployed). Tasting it, having let it sit, I found that the nuttiness took over from the initial nutty/ earth balance of the drink. I had a chat to the guy beside me, who found his drink rather strong and far earthier then I, however he found he loved it with a little bit of brown sugar. So keep that in mind. I came back later in the week with nerd 2 in tow. 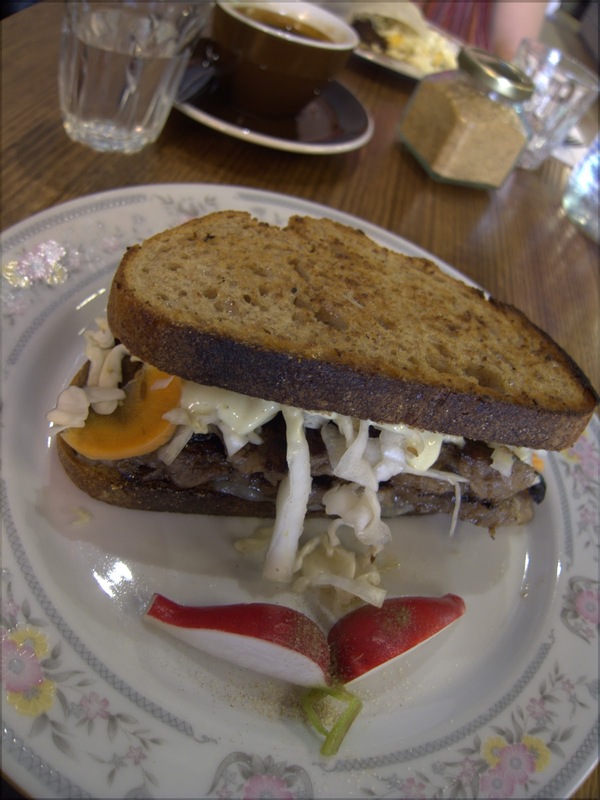 We grabbed at late lunch – I went for the Not Rueben, reuben, which was a great, if fatty, amazing sandwich. Coffee was as consistent as my first visit. Overall, wow. Amazing space, even if you just like warehouse conversions it’s worth the visit on that alone. 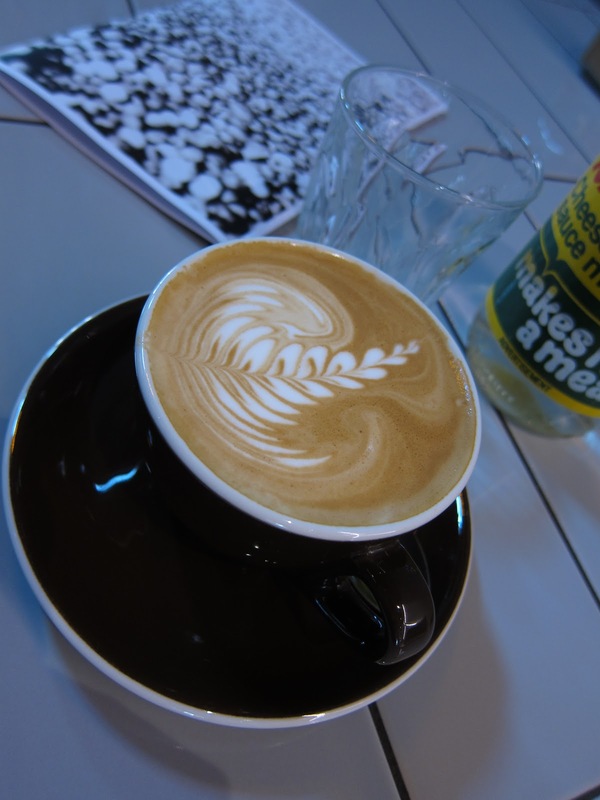 The coffee is consistent and whilst not the best in the city, one would be hard pushed to do better what it does with the beans (you can see why Reuben Hills origins and blends make guest appearances at so many of Sydney’s other coffee shops). The food looks and is bloody tempting and worth a try. It’s a great weekday space to chill and whist I can’t imagine pulling out a laptop or book on a weekend – as this would earn you some evil stares from other’s eyeing off your table, weekday read/blog without guilt! The only let down was the staff on my first visit who I found to be indifferent to me, however, on my second visit were fantastic and kept the kitchen open for 5 more mins so I could get some food. Style (what’s it feel like): Berlin cocktail spot meets coffee roaster warehouse, just the best.